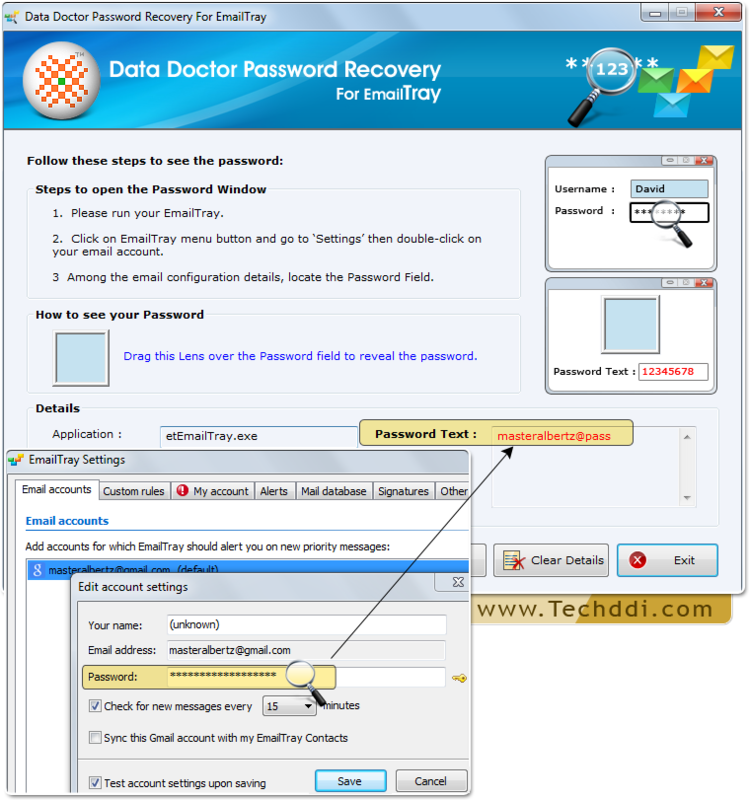 Password Recovery For Email Tray helps user to retrieve multiple accounts passwords of Email Tray account that are stored behind asterisk (***) character in few steps. 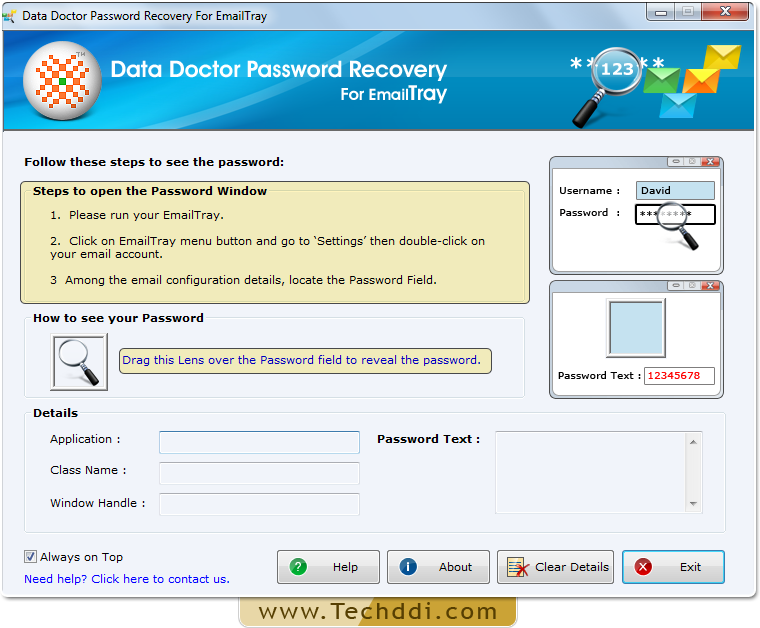 Install and Run Password Recovery For EmailTray. 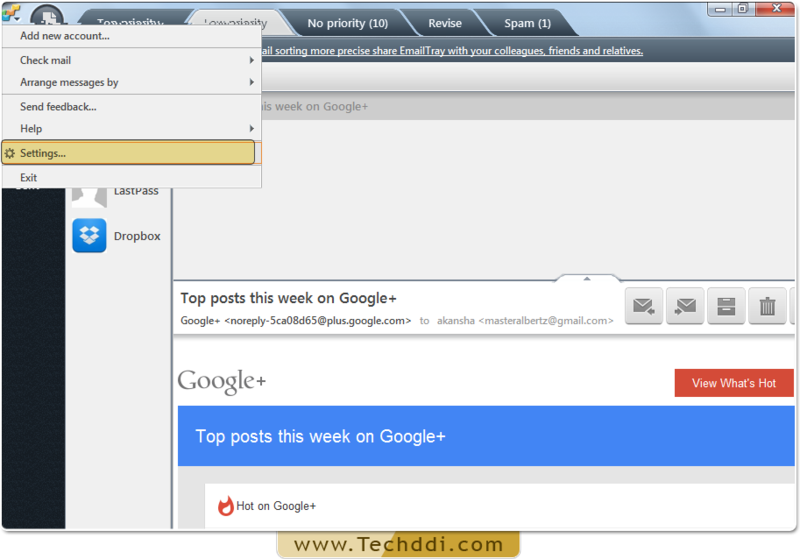 Run your Email Tray and Go to 'Settings' option from menu. 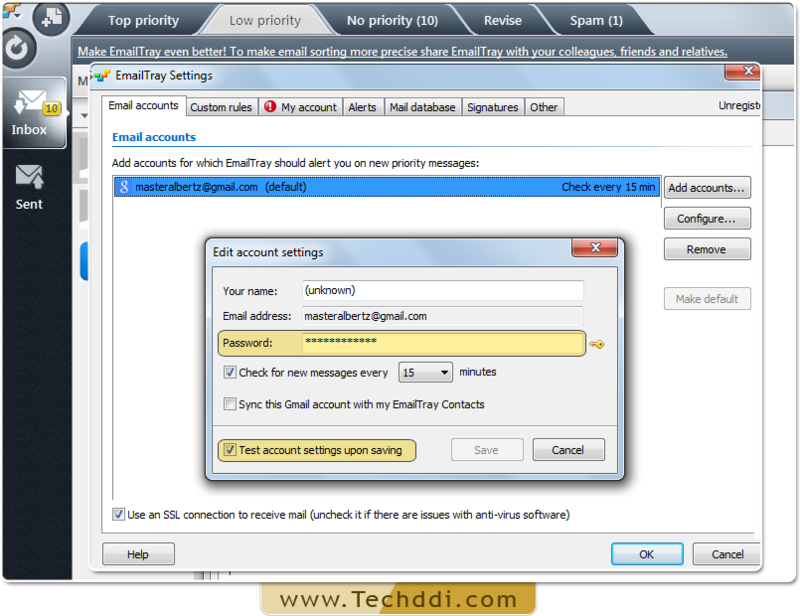 Select email accounts tab and choose your account by double clicking on it. 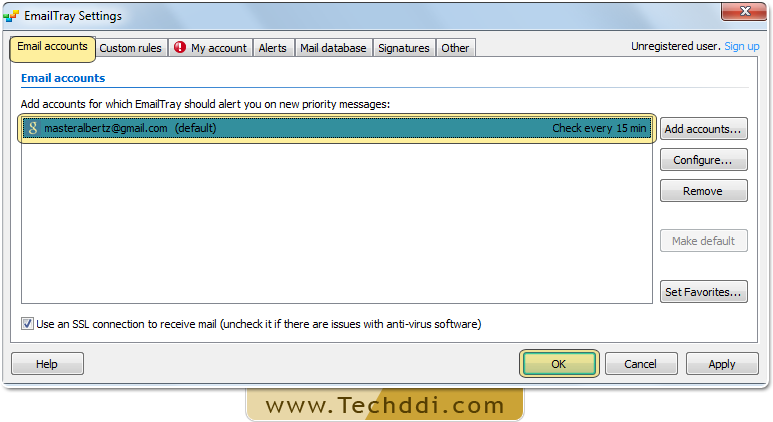 Locate the password field among email configuration details. 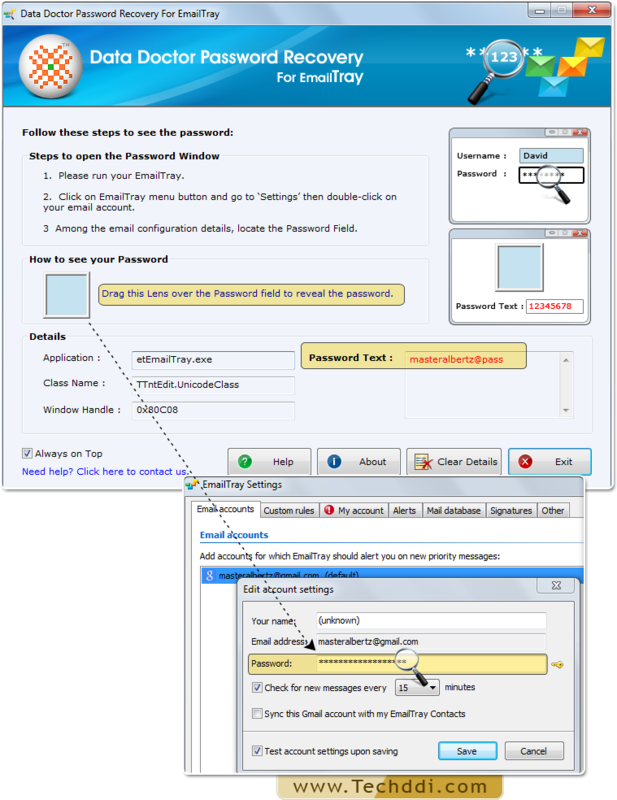 Drag lens from password recovery software to your application over the password. Recovered password will be displayed in ‘Password Text’ Box.